by crblog - January 10th, 2014. Filed under: About Craig Ranch, About McKinney TX. Aaron’s Race and Roll was born in the heart of Aaron Gigley, a 16-year-old boy who has struggled throughout his life with health issues and has undergone numerous surgeries. In 2011 Aaron finished a triathlon. He came in last, but he still finished! After he completed the race, Aaron realized how important it is for people of all abilities to experience and feel that same sense of accomplishment. He created Aaron’s Race and Roll, a 5k, 1k race, to give kids and adults with challenges, disabilities and issues the chance to accomplish a goal. Aaron wants people of all abilities to be able to run this race, or roll in this race – wheelchairs and crutches included! This race is open to kids and adults of all abilities. There will be volunteers present at the race to help everyone cross the finish line, but this race will also be timed for those who like a little competition! All of the proceeds made by this race will be given to ManeGait, an organization that helps kids and adults of all ages with disabilities go beyond their boundaries and do more than they think they can do. Proceeds will also go to Especially Needed, an organization who desires to build a strong community where individuals with special needs are valued, respected and included. Aaron’s Race and Roll is on Saturday, January 18, 2014 at Cooper Aerobics Center at Craig Ranch. Aaron needs volunteers, donations and racers! His goal is to raise $10,000 so that he can give back, in a small way, to all of the surgeons, volunteers and people who have helped him throughout his life. 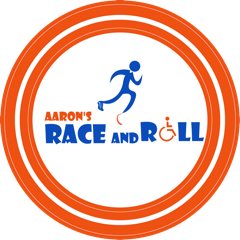 If you would like to register for Aaron’s Race and Roll, and make a difference in your community, please visit http://www.active.com/mckinney-tx/running/distance-running/aarons-race-and-roll-2014. Craig Ranch is a master planned, golf community offering new homes, townhomes, and condos for sale in McKinney, TX. In addition to residential neighborhoods, Craig Ranch has a corporate campus, office and retail space available for commercial development. The TPC Craig Ranch private golf course is the centerpiece of the community and a member of the Audubon Cooperative Sanctuary program. The open green spaces and small-town ambiance of Craig Ranch serves as a natural setting for outdoor concerts, farmer’s markets, festivals and exhibits. Soccer and baseball fields, hike and bike trails and unique amenities give residents a sense of place they are proud to call home. Its marquee venues include: the TPC Craig Ranch, the Michael Johnson Performance Center, the Craig Ranch Fitness and Spa, the Hospital at Craig Ranch, Dr Pepper StarCenter McKinney at Craig Ranch, The Ball Fields at Craig Ranch, The Premier Soccer Fields at Craig Ranch and The Beach at Craig Ranch, a youth to pro-level sand volleyball venue. Call, click or come-by the Information Center in McKinney to learn more about the new homes for sale and commercial development planned at Craig Ranch. We can’t wait to share with you the vision that is Craig Ranch.